Just like a Little Black Dress every lady needs at least one red lipstick in their collection. For those of you who are a tad apprehensive of red lipstick you will be delighted to know that L'Oreal Paris have created a collection that is designed to match different skin shades and undertones. 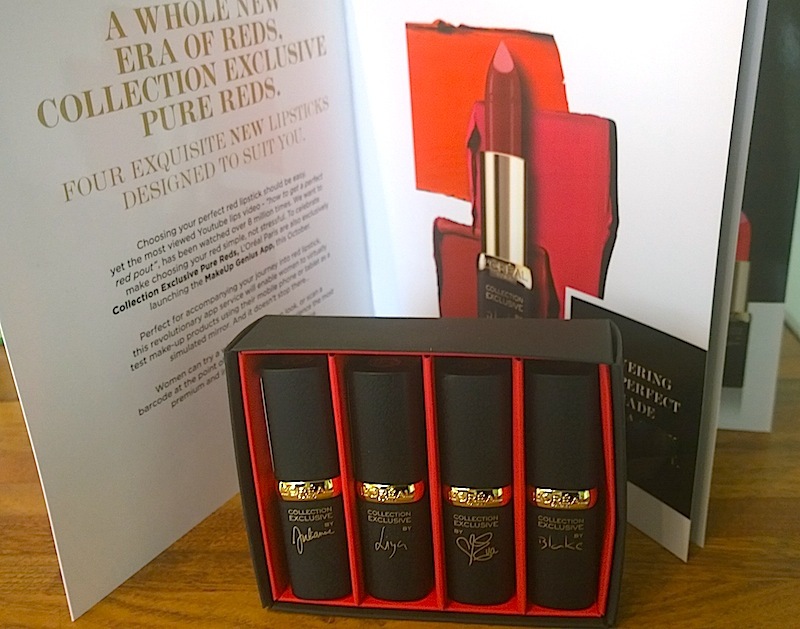 L'Oreal Paris Collection Exclusive Pure Reds is aimed to diminish the fear out of choosing a red lippie. Using L'Oreal spokeswomen, Liya Kebede, Eva Longoria, Julianne Moore and Blake Lively as templates they have come up with four made to measure reds that suit you perfectly. Eva's Pure Red promises to give you unexpected urban chic brick red lips. This shade has blueish undertones. Liya's Pure Red will provide you with theatrical red lips for an opera of intensity. This colour is verging on orange and is very warm. Blake's Pure Red offers pure red lips for the most iconic of looks. This shade is a tad bit cooler than Eva's and is much more of a blood red. Julianne's Pure Red will give you lips of a vermilion red from the most exquisite fabrics. This shade has pink hues. The lipsticks are matt based and highly pigmented with Jojoba that moisturises your lips. I was matched with Liya's lipstick (pictured below) and I was impressed with the quality. The impact is very intense, giving you a very powerful red lip but instead of looking a touch Cruella this product makes you look warm and appealing. L'Oreal Paris Collection Exclusive Pure Reds is priced at £6.99 and available to buy now!